Cellro Automation officially joins HEIDENHAIN’s Partner Automation Program. Being a renowned developer of machine control, HEIDENHAIN partners with the world’s best CNC machine automation suppliers in order to make automation more tightly integrated and stimulate future developments. 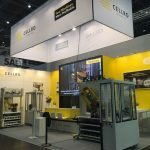 Cellro’s entry into the partner program paves the way for smoother machine communication, while also adding greater user flexibility and a wider support network when solving issues on the verge of automation and machine control. The partnership brings forward a number of important benefits to shop floors as well as the machining industry as a whole. First of all, companies that use a HEIDENHAIN control system in conjunction with a Cellro automation solution will benefit from quicker onboarding. 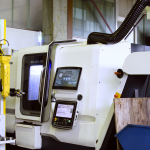 As the partnership allows both parties to standardize more and more machine-robot interfaces, setting up a fully functional automated machining process will become easier. This deeper level of standardization also reduces the risk that future changes to the machine or automation will bring along uninvited communication problems. In the case some issues do arise, Cellro and HEIDENHAIN are now able to fix issues more efficiently than ever before. As both company’s service departments can exchange information and expertise more efficiently, the customer benefits from faster response times and more thorough solutions that take into account the production process as a whole. 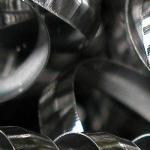 Intelligent use and exchange of data to optimize production processes is becoming increasingly important. 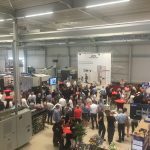 The Cellro-HEIDENHAIN partnership sets a major step in advancing these Industry 4.0 developments. The companies both bring unique knowledge and expertise to the table with regards to automation and machine control. This allows them to optimize their future solutions even more towards the specific inputs and outputs that are important to the overarching production chain. This fits well with the industry’s need for more sophisticated data-driven means to optimize and predict the future production process. Cellro is proud to partner with HEIDENHAIN, a key industry player when it comes to machining control. So far, the Dutch automation developer has cultivated partnerships with many other control manufacturers. 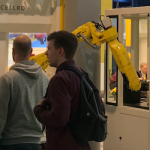 This aligns with Cellro’s goal to provide their customers with hassle-free and future-proof automation solutions that bring the machining industry forward. 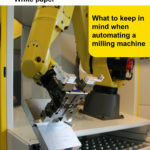 Previous post Download your white paper about automating a milling machine now!